Sourcing everything from Gore-Tex to canvas. 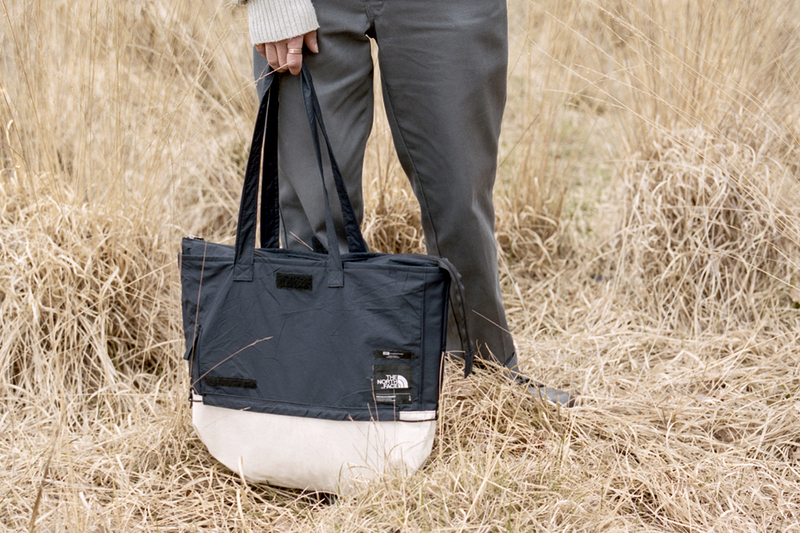 London-based Greater Goods is taking a stance on sustainability by repurposing damaged and unwanted outerwear garments into beautifully crafted tote bags. With a contemporary take on fashion, Greater Goods has successfully crafted each bag into functional accessories that have been brilliantly patch-worked together with the utmost attention placed on technical excellence and detailing. Materials to create each bag have been sourced from everything from Gore-Tex to canvas, while unique patinas are then incorporated to each item giving them a unique shape, color and details. Each bag was also constructed with built-in carry handles, multiple pockets, key loops and webbing, along with deconstructed zippers, Velcro and drawstrings. Peep the collection in the lookbook above shot by Jaimus Tailor and Haydn West. Ranging from £130-£145 GBP (approximately $170-$190 USD), the collection will be available starting Thursday, April 18 over at Greater Goods’ online store. Everything you need to see to be caught up. Also dropping a highly-exclusive collaborative T-shirt in celebration of the partnership. Another chance to cop the clean-cut basics. A table lamp and book-shelf with build-in speakers.